Closed June 8 - All CCLD libraries will be closed for staff Continuing Education Day. Love puzzles and mysteries? Looking for a unique experience? Want to support Chemung County Library District and the Chemung County Historical Society? Reserve your spot at our History Mystery multi-gallery escape room on Friday, June 22 (evening) & Saturday, June 23 (all day) at the Chemung History Museum. Find clues, solve puzzles, and unlock mysteries before time runs out! Six people per time slot. Thirty dollars per person. (All proceeds are divided equally between the Friends of CCLD and the Historical Society). Adults and teens only. Call the museum for reservations and to pay in advance. No payments at the door. Small prizes for all who participate. 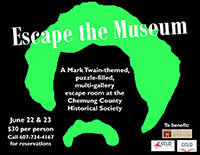 Call the museum to reserve your spot and pay in advance: 607-734-4167. Stop by at the second floor reference desk at Steele Memorial Library and borrow some seeds! What is a Seed Lending Library you ask? Come by and borrow up to 3 packs of seeds, and when you harvest your vegetables, herbs or flowers, save some seeds to bring back to the library for the next season! Seed lending is also currently available from the Horseheads Free Library. Registration for our 3rd annual Summer Maker Camp has begun. To register call or visit the Steele Memorial Library reference desk. A registration fee of $20.00 secures your spot in camp for the week. Camp takes place August 6 - 10. We have lots of activities for adults this month at Steele! We have afternoon and evening movies scheduled (both recent and classics) as well as fitness classes (Tai Chi and Yoga). Take an art class, a gardening class, or learn how to maintenance your bike. Join one of our groups that meet regularly: book club, chess club, knit/crochet club, fandom club, or writers group. All of these and more are available for free at your library! Registration is required for some programs (see details below). Summer Reading Club for all ages will start at the end of June with a chance to win prizes each week. Summer Reading & Learning Fun starts the last week in June and runs until the second week in August. Teens can earn prizes by reading anything they want, checking out reading material, or attending library teen events! Prizes include gift cards, movie tickets, books, and more! Interested in acting? 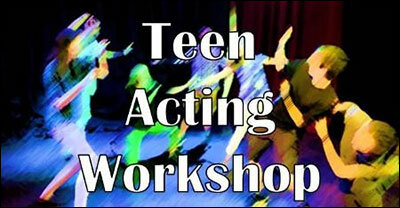 Join us for our Teen Acting Workshop this July! The program will be run by local professional, Meghan O'Toole Tuazon, and will take place Monday nights from 6:30-8:30 starting July 9th. Registration is required: (607)733-9175. The Summer Reading Club Kick-off Party at Steele Memorial Library is on June 28th at 3pm. Join us for games, crafts, and prizes. Sign-up for the Reading Club, receive your reading log and grab bag. Register to win prizes! Celebrate Father's Day by giving your dad a Princess makeover! We will have make up samples from Mary Kay, tiaras, and a photo area with props to make dad look EXTRA pretty on his special day. Supplies are limited. Act, sing, and dance this July with Mr. Jeff every Monday starting July 9 from 2:00-3:30 at our Tween Summer Theater Camp! Registration is required: 733-9174. June 1, 3:30pm - National Doughnut Day! Scavenger Hunt - All month long, no set time. Summer Reading Club starts this month at Big Flats Library! Check our calendar of events for more information about upcoming programs. Join us at Old MacDonald's Farm at the Chemung County Fair Grounds on June 2nd from 10-3pm. Stop by the Bookmobile to make your very own farm animal button to wear! Touch-A-Truck is June 16th at the Arnot Mall from 10-2pm. Come see the Bookmobile and all the other cool big vehicles and maybe win a prize! Our book club meets the 2nd Friday of the month at the Bulkhead stop in Southport at 1:30pm. This month we will meet on June 1st (libraries are closed June 8th) to discuss "Before We Were Yours" by Lisa Wingate. We are reading "Woman in Cabin 10" by Ruth Ware to discuss in July. In June at Horseheads, we are continuing our T'ai Chi class series! We are also holding two card making classes. (Note: registration for the card-making classes begins on June 4). Also, sign up to learn all about your tablet or smartphone! It's time for our Annual Summer Reading Club Kick-off! Stop by and register for Summer Reading Club which runs from June 25 - August 4. Staff from four of the library branches will be here with various activities. Don't forget to bring your library card and sign-out some books. Log your minutes and come back each week to enter prize drawings! June 27, 3:30pm - Sumer Reading Club Kick-off! Join us at the Van Etten Library for the 2018 Summer Reading Club Kick-Off Party! Register, read and earn weekly prizes!! 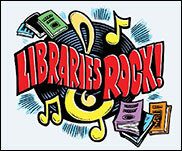 This first week we have games, crafts, cake, and face painting to kick-off this year's theme, Libraries Rock!! June 11, 1:30pm - Tablet Talk: Learn to use your device! June 27, 3:30pm - Summer Reading Club Kick-Off Party! Our 6 week Summer Reading Club begins on Monday, June 25 at 4pm with a variety of games and crafts for families with children of all ages. Stop in each week and enjoy another special, fun-filled program. Report your reading each week for a special prize and an exclusive invite to our Final Reading Club Party at Eldridge Park. Artificial Intelligence Is Cracking Open the Vatican's Secret Archives:A new project untangles the handwritten texts in one of the world's largest historical collections.